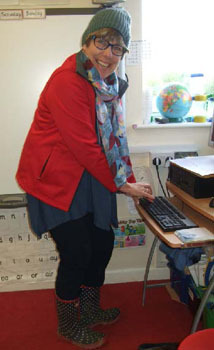 We have very much enjoyed watching Mrs Swadling dressed up – a bit like ‘Where’s Wally’ for her French lesson with the children! They have been learning French names for items of clothing and we hope they dazzle you with their knowledge as they get dressed and undressed each day at home! 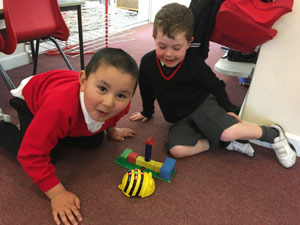 In ICT we had great fun programming our bee bots to knock down the brick towers that we had built. Some of the bee bots did not like the surface they were on and instead of going forward, backward, left and right, they just went round in circles! 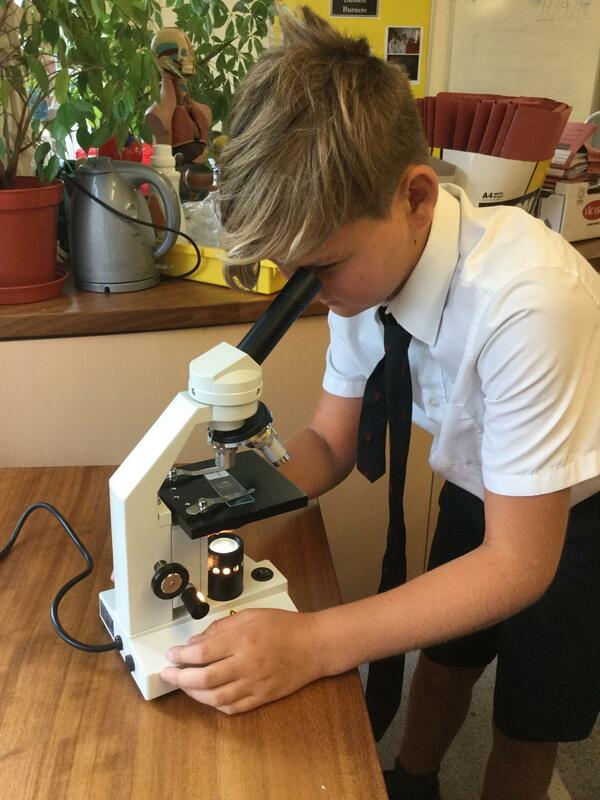 We have been continuing our topic about growing things and have been closely observing flowers around our school using magnifiers before embarking upon sketches of them. We have certainly noticed many spring time changes since last time we were looking around the woods and school grounds. Please look out for a letter about our visit to Wakehurst Place next Friday and return the permission slip asap.